The birds and bees are booming on a factory green roof in Scotland. More to the point, the success of the project could lead to more green roofs on the complex in Grangemouth. Considering that green roofs are rare on factories in the UK, this is even more of a bonus. CalaChem are a chemical and environmental company based in Grangemouth. The company were approached by Buglife to install the green roof back in 2016. The project, funded by the EU, also include a semi-intensive green roof on a school in Falkirk. 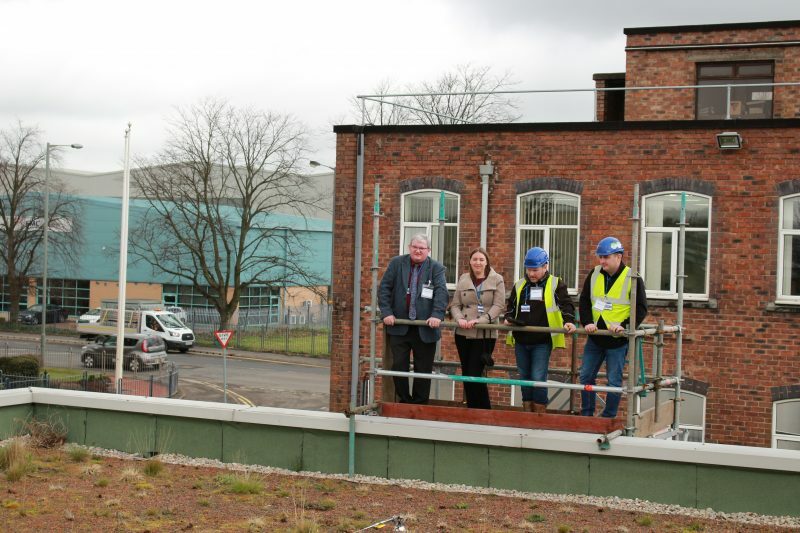 Whilst green roofs are common in the UK, especially in London, this is probably the first factory green roof in Scotland. In fact, it is probably the first factory roof to become a veritable oasis for wildlife too. Buglife report that the roof has become home to bumblebees, butterflies and other invertebrates. Furthermore, oystercatchers are also making use of the roof as a breeding habitat. The roof was originally installed in 2016 and the vegetation has developed over the last two years. This will get a boost this year when more wildflowers are planted onto the roof. Buglife have a great track record promoting green roofs for biodiversity. Whilst here at Livingroofs.org we can lay claim to starting the whole green roof and biodiversity movement in the UK,, Buglife have taken up the mantle across the UK. 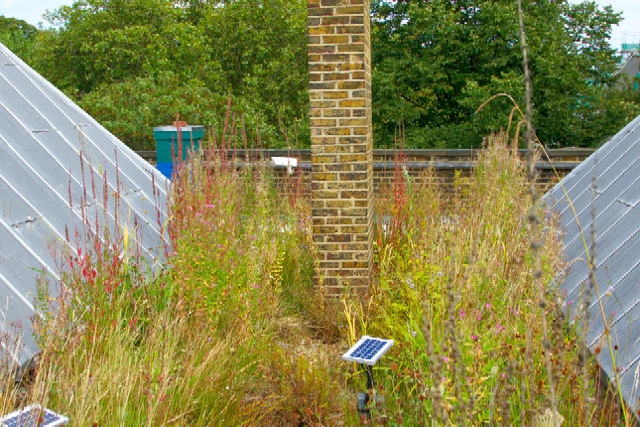 Back in 2008 Buglife ran a programme to install green roofs on commercial buildings in London. Funding was also obtained for a wetland green roof on the Victoria and Albert Museum. The project was a resounding success. Not only for biodiversity but also for the guidance on green roofs and invertebrates that was produced. So it is good to see guidance leading to action in Scotland. We are sure that the organisation will continue to deliver projects where funding is available. We look forward to hearing about more projects, especially on factory roofs, not only in Scotland but elsewhere in the UK.